Apple might soon see its flagship product imperiled by America's advancing trade war with China, as President Donald Trump in an interview on Monday suggested a new round of tariffs could include a 10 percent levy on iPhone. Apple's iPhone XS could be included in a new round of U.S. tariffs. Speaking with The Wall Street Journal, Trump said he intends to move ahead with tariffs on $200 billion of goods imported from China if an upcoming summit with Chinese President Xi Jinping bears no fruit. Trump confirmed his administration is thinking about lumping iPhone and laptop computers into the next round of tariffs. "Maybe. Maybe. Depends on what the rate is," he said in reference to duties on phones and computers. "I mean, I can make it 10 percent, and people could stand that very easily." The knock-on effect of a 10 percent tax would likely be higher prices for U.S. consumers. 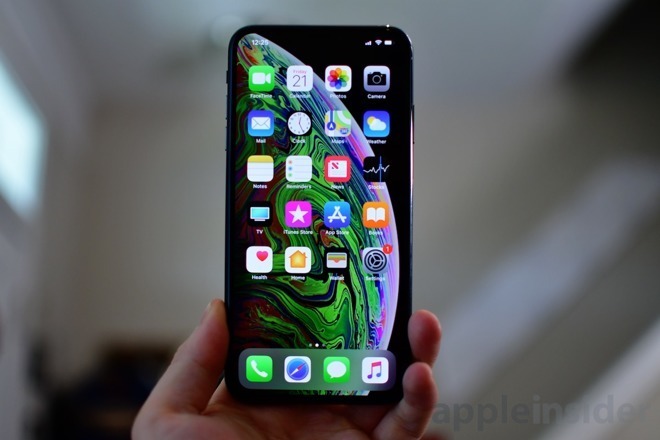 Apple typically responds quickly to global economic trade winds, sometimes adjusting regional device prices to reflect changes in international exchange rates. It remains unclear how the company would handle a 10 percent tax hike in its largest market. Trump and Xi are scheduled to meet later this week to discuss an intensifying trade battle between the two world powers. China is seeking to delay a planned tariff increase — from 10 percent to 25 percent — on $200 billion of imports, while at the same time staving off new duties placed on a range of other goods. The bruising tariff rounds have prompted impacted U.S. firms to consider building production facilities in other countries, the report said. A bulk of Apple's product line, including the tech giant's bread-and-butter iPhone, is manufactured in China by companies like Foxconn. "What I'd advise is for them to build factories in the United States and to make the product here," Trump said of companies affected by the duties. "And they have a lot of other alternatives." So far, Apple has successfully kept its products off the U.S. tariff list, but that position now appears tenuous. Reports in October suggested the Trump administration was considering slapping tariffs on imported goods that escaped an initial round impacting $250 billion worth of trade. Rumors earlier this year claimed Trump promised Apple CEO Tim Cook that iPhone would not be involved in the escalating trade war.